Properties in Greece average 4.6 out of 5 stars. Dreamy apartment in Thission, near Acropolis. Property 9: Dreamy apartment in Thission, near Acropolis. Your home in Athens. A great apt with large balcony and amazing views! Property 14: Your home in Athens. A great apt with large balcony and amazing views! “Sunbow Earth” - One bedroom Cozy new Apt in Dowtown Athens! 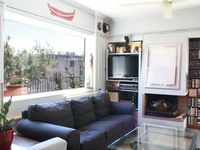 Property 15: “Sunbow Earth” - One bedroom Cozy new Apt in Dowtown Athens! Seafront apartment in Kiveri, near Nafplion. Property 19: Seafront apartment in Kiveri, near Nafplion. Property 20: * Cozy Home * Hill of ACROPOLIS !! Central, quiet and comfortable. Ideal for Your Athen's break! Property 34: Central, quiet and comfortable. Ideal for Your Athen's break! 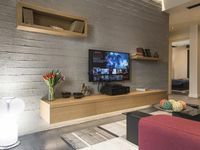 Great host, fabulous apartment, fantastic holiday! From the moment we contacted John regarding the Athens 'luxury' apartment, the experience has been very pleasant. He promptly answered every question we had, sometimes in the middle of the night for him! The apartment is very modern, and he has thought of almost everything one could need( towel warmer, blackout blinds, chilled wine on arrival, chips/pop and snacks, maps, restaurant info, magazines, spices, dishwasher/washing machine pods, vacuum cleaner, coffee, tea, sugar, shower gel...)and when he says that things are convieniently close that is what it is! The local Friday market is literally 25 steps from your front door( this was a great Greek experience for us, the vendors are characters! ), dozens of restaurants and tavernas are just down the block and there are at least 3 very nice supermarkets, meat and cheese outlets just steps away. Taxis are abundant and most anywhere will cost you 5-10&euro;. Even the metro/underground is somewhat easy to navigate...people are very friendly and so helpful when they know you're a tourist. The Greek people are truly wonderful. We had a dental emergency our last week and John arranged everything from the dentist to the taxi ride there and back, couldn't have been more professional! The beds were very comfortable and it was very quiet...we slept way to long some mornings! Walking to the Acropolis, Plaka, museums, etc were all within reach by foot, and we're in our 70's! So very convenient. Our month stay with John in the 'Athens luxury apartment' has been a fabulous experience and we love Greece and its people for their hospitality. Thanks for everything John. Excellent location clean and functional never felt out of place very safe area. All attractions walkable with great people watching. Enjoyed restaurant referrals by Yannis Michael (suggested taxi driver) we outstanding ambassador for Greece and a very knowledgeable debator. Do not miss Bethel bakery as suggested again by Yannis. Great bakery and very reasonable prices for a hot meal for takeaway. Choices different every night and is typical Greek food at a very reasonable prices never dissapointed with generous portion and staff very excited to help/explain meal. Would stay there again and hope!